The Spreading of Ebola: Cui prodest? What is the Hidden Motive? No matter international emergency countermeasures, the Ebola goes on spreading. Seven states were hit by the decease as of October 25. Liberia, Sierra-Leone and Guinea are the epicenter and the hardest hit countries; the virus has also struck Nigeria, Senegal, Spain and the United States. On October 23, the first confirmed case was also reported in Mali. 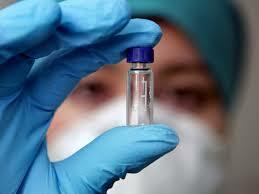 The Ebola phenomenon has medical and political aspects that deserve to be taken into consideration. It all started in March 2014 when the world media started to report new cases of Ebola deadly contamination. By the end of summer world organizations and leaders were involved in collecting and making available the information about the virus. In late August the World Health Organization declared the state of emergency. «…that the «unprecedented extent» of the Ebola outbreak in Africa constituted a threat to international peace and security». The wording allows the United Nations Security Council to take any compelling measures according to Article VII of UN Charter. The main thing is that for the first time in the United Nations history a virus is recognized as a threat to international peace. What is the ground for saying so? Let’s take note that it was the United States who was the author of the resolution. Addressing the 60th session of the United Nations General Assembly US President Obama emphasized that Ebola was high on the world community agenda. The virus issue was referred to the United Nations General as an emergency matter. UN Secretary General Ban Ki-moon made an address and submited for consideration the draft resolution offered by the World Health Organization’s emergency committee on Ebola. This was also an unprecedented step. The resolution was adopted unanimously and practically without deliberations. It was a really speedy process: the UN Secretary General’s letter with the proposal to establish such a mission is dated September 17. It means that the decision was taken in a day! How can such a reaction be explained? Many strange things happen as one is looking for an answer. First, it’s not the first time an Ebola outbreak takes place, simply the virus had not attracted so much international attention before. Ebola is known since the mid-1070s, it took 280 lives in Zaire in 1976. Since then the outbreaks became routine: there were large-scale outbreaks in the United States and the Philippines in 1989-1990s, the Democratic Republic of Congo in 1995 (254 dead), in Uganda in 2000-2001 (224 dead), in Gabon in 2002 (53 dead). But only now that the problem has come into focus. It makes one wonder why? Note: there are various types of the virus that have been recorded in Zaire, Reston (US, the state of Virginia), Bundibugio (East Africa) and Cote D’Ivoire (West Africa). 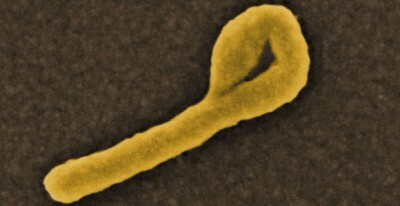 In 2014 the outbreak originated from Zaire. It strikes an eye that flagrant disinformation on the virus lethality is disseminated in media. There were cases of 100% mortality and the cases with no indicative statistics (for instance, one lethal case per one victim). There is more reliable data related to the cases with 75-80% death rate. The ratio is very high but the affected countries have low standards of medical care. Talking about the current Ebola outbreak – it’s either non-existent at all or the information is distorted. Media outlets often say the lethality is 90% but the fact has no confirmation. The United Nations World Health Organization official information says Ebola death toll rises to 4,877 out of 9,936 cases up to Oct. 19. It means the lethality rate is around 50%. It’s a bit lower than in previous cases that had not attracted the world public attention. It is corroborated by the example of individual states: Liberia (4, 665 cases of contamination, 2705 dead, around 50% – lethal cases), Sierra-Leone (3706 contaminated victims, 1259 dead, the death rate – around 35%), Guiney (1540 victims, 904 dead, around 60% dead). What is the reason for exaggerating the mortality rates? With no vaccine available the death rate is around 50 %. It means in half of cases a victim can acquire immunity and recover without medicine. The people who have made it through now can be involved in medical care activities without any risk of contamination. Still some vaccines are used. That’s what is suspicious. On the one hand, the scale of the disaster looks like an experiment of exploring ways to acquire natural immunity, on the other hand, it is similar to mass probe of certain types of vaccines. As media reported, in some cases medical personnel were harshly treated allegedly because of «arrogance» of local population. There may be more serious reasons behind such behavior. What really drives the attacks against medical personnel on the part of those who appear to be most interested in receiving medical care? Third, the declared emergency situation looks a bit grotesque against the background of so many lethally dangerous deceases going on a rampage in the contemporary world. An impartial assessment of the Ebola threat is possible only taking into consideration the global epidemiological evidence in general. For instance, malaria results in annual death toll of 700 thousand people. It takes place in the very same Ebola-stricken West African nations. Some forms of malaria lead to death in a few days or even hours, it makes one die much faster in comparison to Ebola. No urgent measures are taken on account of ubiquitous tuberculosis. According to the official data of World Health Organization, only in 2013 nine million people fell victims to the decease. In 2014 tuberculosis made 1, 5 million people lose their lives. The global tuberculosis-caused mortality rate has gone down 45% but in the case of the recently appeared multidrug-resistant tuberculosis (MDR-TB) the death rate is comparable to Ebola. Note: In 2013 around half a million people fell victims to multidrug-resistant tuberculosis or around 5% of all cases. What makes Ebola get into the spotlight of world attention at the time there are other, much more dangerous deceases, that produce greater death rate around the entire planet? There are questions concerning the source of funds for producing the vaccine in the United States. The money goes not to medical researchers but the Department of Defense along with the National Institutes of Health (NIH – a biomedical research facility primarily located in Bethesda, Maryland, the USA). This very fact is not an evidence of biological weapons productions by itself as the contemporary medical care in the United States makes vaccine funding unprofitable. On the one hand, it’s a small portion of «market» – until the recent outbreak there had been only 2200 cases of contamination. On the other hand, the financial profitability is very limited. Even if the virus were massively spread across Liberia, Sierra Leone and Guinea, there would be too few people, practically no one, who could pay for the vaccine. All these question-raising issues along with the recent Ebola outbreak make one guess that the virus spread may have other than medical causes. No matter of the virus is of natural origin or artificially produced, there are reasons to surmise that some states and the international organizations they control, as well as obedient media outlets, act in the capacity of pharmaceutical companies’ agents. The ballyhoo raised around Ebola is viewed as an attempt to expand the market for vaccine to make it profitable or even super profitable in case a number of countries become dependent on it. If the anti-Ebola vaccine trade expands, it’ll become an issue of the state policy agenda. But the right term to use will be racket, not trade. Or a special operation. Something like this happened in case of South Africa when the entire country became dependent on a concrete medicine allegedly produced to fight AIDS. The sad thing about it is that the ongoing special operation is really merciless – no one can refuse the service offered. 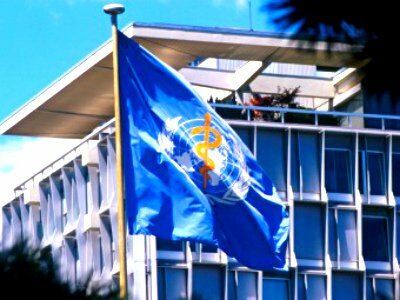 It cannot be excluded that the Ebola virus is an element of policy aimed at world destabilization, something the United States is doing today and, at the same time, a new form of unleashing a multi-level crisis when the medicine would be available only for the «chosen».